The opposition Maldivian Democratic Party (MDP) office for the Hithadhoo South constituency in Addu City was torched last night (October 10) after masked men attacked a rally in Feydhoo earlier in the evening. A group of masked men wielding wooden planks and rocks reportedly attacked participants of the rally held at the harbour area of the Feydhoo ward. Of 16 suspects arrested from the scene, police said seven remain remain in custody while nine have been released. A number of police officers active in the area sustained varying degrees of injury while attempting to control the disturbance, police said in a statement last night. Members of the public were also injured in the clashes, police added. While some supporters attending the rally were assaulted, rocks were reportedly thrown at others and one person sustained head injuries. Opposition-aligned private broadcaster Raajje TV’s equipment was also damaged. Chief Inspector of Police Ahmed Shifan, commander of the south division, told local media that the incident would be investigated as “a serious matter” but claimed there was no evidence to suggest the attack was politically motivated. The MDP office in Hithadhoo was meanwhile set on fire around 11:30pm, shortly after the rally ended. MDP MP for Hithadhoo South, Ali Nizar, told local media that the arson attack caused more than MVR1 million worth of damages to electronic equipment and property at the office. The office was almost completely destroyed in the fire, which also spread to a shop next door and caused damages to goods. Nizar alleged that the office was set on fire by a group of youth involved in disrupting the rally, who left for Hithadhoo on a taxi. The fire was extinguished by the Maldives National Defence Force’s fire and rescue service. Police said a search was underway for suspects but no arrests have yet been made. Last month, the MDP main office in the capital Malé was also set on fire following vandalism of the party’s office for two consecutive nights and numerous death threats sent from unlisted numbers to MDP MPs, the party’s senior members and dozens of journalists. While the door of former MDP MP Hamid Abdul Ghafoor’s home was torched, crude oil was thrown on former President Mohamed Nasheed’s residence and the windshield of Chairperson Ali Waheed’s car was smashed. Speaking at last night’s rally, Nasheed accused President Abdulla Yameen of employing “wayward youth” to carry out attacks against the opposition. MDP Chairperson Ali Waheed said the party would seek information about the culprits and make sure that the perpetrators are brought to justice. The Progressive Party of Maldives (PPM) meanwhile put out a press release today condemning the arson attack “in the harshest terms”. “This party will not support such acts regardless who commits them. This party is concerned about such acts that harm political parties, public property, and lives,” the statement read, appealing for cooperation with the government’s efforts to ensure security and stability in the nation. The ruling party called on the authorities to investigate the arson attack and take prompt action. “All parties should have the opportunity to carry out political activities peacefully,” the press release stated. Former President Maumoon Abdul Gayoom also condemned the arson attack on social media today. “We must never allow such violence in this country,” the PPM leader tweeted. Normally, arson, robbery, murder, coups, floods, tsunamis, calamities are bad things to be avoided.. But in Maldives its hard to say.. some one also end up benefiting from all bad things too and it may not be who you think. So its hard to sympathies of thank anyone over the on going events.. in other words, chaos is becoming a normal every thing and people are not shocked. So in the end big events are even loosing their news value.. I can see that Maldives are floating over with conspiracy theories well fabricated and made up of lies and fantasies. Many made up and well-orchestrated only to create rift between political parties in Maldives. To combat this prehistoric radical criminal’s booth leading parties should join forces and work together. MDP victims itself again to gain excuses for foreign involvement because they cannot win election with their platform which is a love of zionism & laadheenee undermined of Islam. 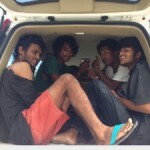 Police must acted against MDP today! Holy Krishna!! Another violent, dysfunctional and unstable country of 'true believers' with nothing better to do all day than to burn down opposition offices, attack those that criticize Islam ( the religion of peace ) , bury hatchets in the front doors of media offices, steal CCTV cameras and kidnap journalists.....and ofcourse taking drugs. Have you guys considered calling yourselves The Islamic Republic of South Pakistan? You have so much in common you are like identical twins separated at birth. I do not live in the Maldives. I do not work in the Maldives. It doesn't matter who did it. It's a cowardly and criminal act of deranged minds. Human beings were given a brain to be able to hold civilised conversations without getting violent every time someone disagrees with your point of view. If you don't like MDP, then don't join, don't vote for them and don't attend their rallies. Same applies to PPM or other parties. Criminal acts like this only make our own society poorer. It's sad that political parties IN GENERAL employ impoverished youth in street gangs to carry out hits for them. I don't think there is any point in talking about law and order or crime control unless politicians find a way to stop this practice. Anyone who lives in Male' or the populous city of Addu know that gangs are often paid off by politicians to either create the impression that someone is under attack or carry out an actual hit. Crime will exist in any country in the world but its very depressing that we are one of those few where policymakers promote organized crime on a regular basis. Pakistan and Maldives are both true Islam nations & this is why it is hated. @Kashim you have probably right when previous stated you were not a human, it’s possible you origin appears from isolated pockets of true Neanderthals 200,000 to 250 000 years ago. But most lightly mixed out with some Homo sapiens and then can title you self as (Homo sapiens neanderthalensis)You can get a better assessment if you contact an advanced genetic testing laboratory.